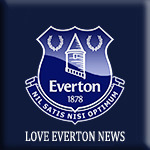 Everton Fans’ Forum has elected new members following a supporters’ vote. Using their customer number to make their choices from a shortlist of eight, Evertonians chose to re-elect Annemhaire Richardson and welcome Jan Syme, Paul Quirk and Jamie Yates. Departing the Forum after completing their three-year tenures are Jeanette Salmon, Lewis Owen and Ruth Eardley, while Jazz Bal will take up the vacant position left by Mark Cartman who is leaving the Forum due to personal commitments. All of the Forum changes will come into effect at the end of January. The Forum, which meets monthly, helps shape Club policy on fan-related matters as well as leading on a number of Club and fan-related projects. Over the past year, the Fans' Forum has been directly involved in a number of Club projects, including input into the Season Ticket pricing strategy, hosting a series of New Stadium workshops with Dan Meis attended by almost 1,000 supporters and progressing the Holy Trinity statue project.